Sharlene gives us a keen insight into her experiences with 'intrapreneurship' in the tech sector. This is the approximate response when revealing that I have accepted a graduate consultant role at IBM, where I undertook my placement last year. I can see their argument: big company, corporate culture, getting sucked in, hamster-on-a-wheel. The major hole in the argument, however, is the tendency to lump all big corporations together into a homogenous mass without taking into consideration what the company’s goals and ethos are. Whilst I cannot speak for the KPMGs, the Unilevers and the BPs of the world, I can speak as a hamster who has had her time on the IBM wheel. Before applying to IBM, I, like most people, knew very little about what the company did or what the cryptic acronym stood for. As it turns out, ‘International Business Machines’ is basically a redundant name for the organisation, because it has moved far beyond the realm of machines, or in tech-speak, hardware. IBM now focuses its efforts on software, pioneering technological advancements in artificial intelligence, cognitive computing, data analytics, blockchain and robotics. IBM applies this technology in both private and public sector contexts, from large business clients to local schools, from multinational banks to governmental departments. The sheer size of IBM means that it is incredibly likely to fall into the traps that corporations do fall into, namely office politics, hierarchy disputes, and media controversy. However, the nature of the tech industry is such that it keeps companies like IBM on its feet. Tech moves fast. Tech has no routine or structure. Tech enhances productivity and achievement. Tech therefore cannot afford to fall into any of the corporate traps. IBM has adopted and moulded a corporate culture that not only takes into consideration its 387,000 employees worldwide, but also the fast-moving, relentless nature of the tech industry. IBM teaches its employees to ‘treasure wild ducks’, as well as regularly facilitating professional development and progression. Prepare to throw your job description out the window as soon as you set foot in the company, because the opportunities available for growth are immense. This nouveau corporate culture is called Intrapreneurship, a movement started by Glifford Pinchot III.It sees large companies instil entrepreneurial values into their employees in order to mimic the culture of start-ups and SMEs, which move at lightning speed. Intrapreneurs, like entrepreneurs, engage in continuous learning and development, work flexible hours, thrive off independent decision-making and are likely spinning multiple plates at any given time. The only difference is that intrapreneurs do all of the above within the organisation they already work for. Alongside IBM, successful intrapreneurship stories have emerged from Facebook, Google, Apple and Sony. The common denominator? They are all technology companies. Intrapreneurship does not necessarily mean a games room, treadmill desks and an office dog; those are added perks that you might indeed need to consult a start-up for. Intrapreneurship is about picking up the philosophy and work ethic from a start-up and inserting it into a drastically different context. It is not an easy job, nor is the culture for everybody, and so these large technology companies are recruiting with intrapreneurial qualities in mind. I was at IBM for a total of thirteen months, during which I; worked on around twenty (often overlapping) international and domestic bids; organised a UK-wide careers event for 330 interns; participated in a programme to improve access to technology in Africa; taught IBM professionals beginners’ French; analysed mobile user experience of our clients; submitted a patent; had articles published about being a woman in technology; learnt about healthcare technology; created a new learning management system; wrote marketing material and case studies; and volunteered in local communities and schools. It may come as a surprise that none of the above was in the job description that I initially signed up for. No two days were ever the same; this hamster was not on a wheel, but rather on a new racecourse every morning. 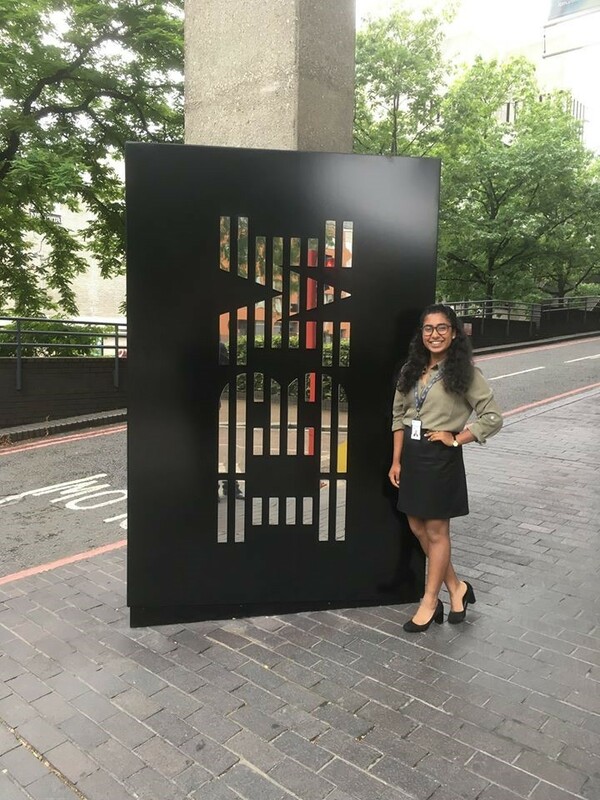 A year is simultaneously a long and short time; I undoubtedly achieved a lot in my placement year, more than I would ever have believed on my first day in the company. I credit most of this to an organisational culture and managerial framework that allowed me to create my own career trajectory within the company. Managers were supportive and open to giving me responsibility, projects could be approached with flexibility, hierarchies were virtually dissipated, and people in any department were more than happy to both teach and learn. Established intrapreneurs rubbed shoulders with newbies, providing informal mentoring to push the latter towards becoming the former.